Players Theatre invites you to watch a very special Junior stage production of Madagascar. 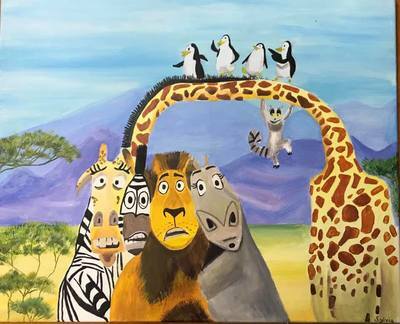 Join Alex the Lion, Marty the Zebra, Melman the Giraffe, Gloria the hip hip Hippo and of course, those hilarious, plotting penguins in the musical adventure of a lifetime. Based on the smash DreamWorks animated motion picture, Madagascar – A Musical Adventure Jr. follows all of your favourite crack-a-lackin’ friends as they escape from their home in New York’s Central Park Zoo and find themselves on an unexpected journey to the madcap world of King Julien’s Madagascar! 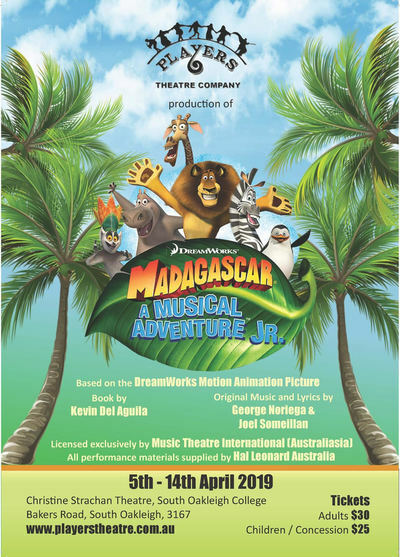 A cast of over 40 children between the ages of 8 to 18 will perform this exciting musical version of the much-loved Dreamworks' movie Madagascar. With tickets only $30 per adult and $25 per child/concession, make sure you "Move It" quickly and book your tickets before seats sell out. Join the event page on Facebook Here.